It’s easy to say the P.K. Subban trade will be considered a success following a Stanley Cup championship within the next few years. However, winning it all, especially for this Montreal Canadiens team, will be easier said than done. You may hate the trade with every ounce of your being, but you can’t really argue it won’t have worked out if that’s the end result. Even if, by trading Subban, the Habs gave up an entire decade of strong contending teams in exchange for a championship this coming season followed by a decade of futility with an aging Shea Weber on the back end, they’ll still have won that one, right? And it’s not like they were doing so hot in that department since 1993 prior to the trade. Sure, part of that drought is a direct result of the Habs being just one team out of 30 vying for hockey’s ultimate prize. As much as this specific front office needs to win it all to justify each of their positions in the minds of many outraged fans, though, a championship victory just can’t be realistically expected. It’s also fair to say, had Subban not been traded, they’d be facing a very similar uphill battle as well. Analytics may suggest the slope wouldn’t have been as steep in that alternative universe, but the Habs were far from guaranteed contender status heading into this coming season even before general manager Marc Bergevin’s offseason moves. They just finished out of the playoffs after all. So, it could be unfair to lay those lofty expectations at their feet (or not,). In the likely event that the Habs fall short of a championship this season, will the campaign be considered a complete failure? Probably not, but what’s the cut-off point? When do critics of the trade get to extend a finger and point (or just extend a finger, if they’re not doing so already) at them and say, “See, we told you so! This is what happens when you make stupid trades based on old-school, outdated ideals”? 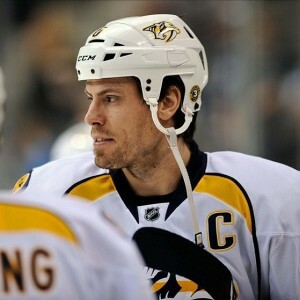 Just making the playoffs won’t be good enough, in spite of the disaster that was last season. That’s because Carey Price was injured for all but 12 games, and, while normally that wouldn’t be a good excuse to write off the other 70, it’s okay in this one particular case. We know this because Bergevin said so at the team’s post-mortem press conference (I’m admittedly paraphrasing here). "I believe with a healthy Carey Price we're not sitting here today" – Marc Bergevin. So, with Price now healthy, it won’t suffice to simply be better than they just were last season. They have to be better than they were when Price was last healthy. And you can argue pretty convincingly that you would have to go back further than the season before because he had been facing injuries those playoffs as well. #Habs Stéphane Waite tells TVA Sports "of course Price was struggling with injuries in the playoffs. At times we wondered if he could play." Somewhat ironically, you might just have to go back another season to get your yardstick, to the point at which Price got injured against the New York Rangers in the Eastern Conference Final when Chris Kreider skated into him. Up until that point, Price was dialed in, having stopped 219 of 234 shots (.936 save percentage) in the second round against the Boston Bruins. So, if Bergevin believes this team lives and dies with Price, the Habs need to make it back to the third round at the absolute least for this chatter calling for his and head coach Michel Therrien’s jobs to quiet down. And, considering the expiring contracts in the coming seasons and Weber’s alleged decline, the Habs may only have one or two years to make it happen. On the flipside, you may be tempted to compare Weber’s success against that of P.K. 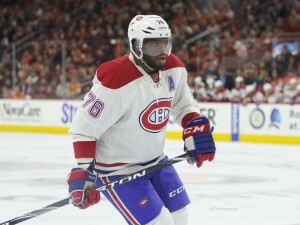 Subban in the coming years. However, barring such a drastic natural drop in Weber’s play that his decline cannot be denied any longer, it would be hard to draw conclusions as to who won the trade in that manner. There are just too many factors at work, including the systems of their respective head coaches and how each player is deployed as a result. Additional acquisitions by each team will further muddy the waters, but it is interesting to note the top additions the Nashville Predators made this past offseason, relative to their playoff roster? Just Yannick “the other, other” Weber, Matt Irwin and Matt Carle via free agency, each likely set to vie for depth positions as part of what is primed to be one of the best defensive corps in the league. Montreal’s changes were conversely of the far-sweeping variety, but comparing the success of the two teams, at least until more drastic changes are made, might actually work. While it’s unlikely Nashville won’t make any more roster moves from now until next spring, keep in mind the Predators have yet to reach the third round in their franchise history. So, again, it’s that third round at which fans need to look. It’s that bar against which the success of both teams may be measured at least over the next few seasons. Think of it like a bad game of limbo. Go over it and you’re golden. 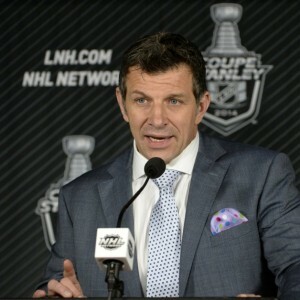 Fall below and “limbo” takes on a whole new meaning, specifically in regard to the aspirations of Bergevin and company, both for their supposedly new and improved team and their professional aspirations moving forward.